Those of us in and around production agriculture routinely see and hear about the role advisors play in helping farm operators feed the world. It’s so routine we don’t usually try to quantify the scope or degree of the advisor impact. We noticed an interesting summary from Iowa State University that put some specific numbers to it, and we thought we’d pass along the numbers here. For background, the ISU report reflects 2014 poll responses collected by ISU Extension and Outreach as part of a long-running survey of Iowa farm operators. (Fun fact: ISU Extension’s field agronomy team uses AgriSync). 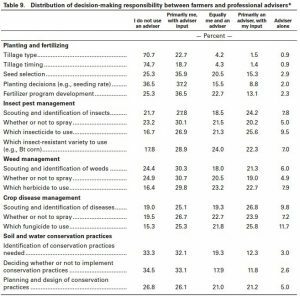 Note that except for tillage decisions, advisors have some role in at least 63% of every major crop production decision. In crop disease and pest management subjects, advisors are involved in nearly 80% of the decisions. 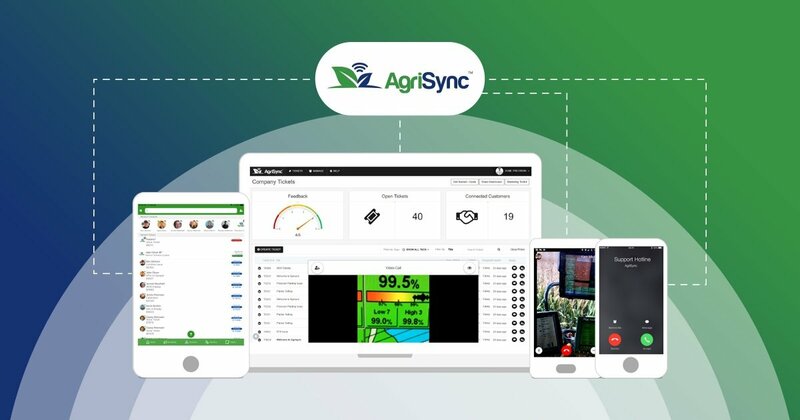 It’s helpful to see hard numbers supporting a key reason AgriSync is doing what it’s doing: farmer-advisor relationships matter in a big way.